“In this month’s Solid Ground, I do what the LDS is failing to do. My aim is ‘simply to educate’ on some of the foundational differences between classical Christianity—the Christianity of the last 2000 years—and the Mormon church. “I wish to declare I have always and in all congregations when I have preached on the subject of the Deity, it has been the plurality of Gods… [Father, Son and Holy Ghost] constitute three distinct personages and three Gods.” (History of the Church 6:474). “How many Gods there are, I do not know. But there never was a time when there were not Gods…” (Journal of Discourses 7:333). “Three separate personages — Father, Son, and Holy Ghost — comprise the Godhead. As each of these persons is a God, it is evident, from this standpoint alone, that a plurality of Gods exists. To us, speaking in the proper finite sense, these three are the only Gods we worship. But in addition there is an infinite number of holy personages, drawn from worlds without number, who have passed on to exaltation and are thus gods” (Mormon Doctrine, 576-577). Nevertheless, Mr. McConkie insisted, “The saints are not polytheists” (Mormon Doctrine, 579). 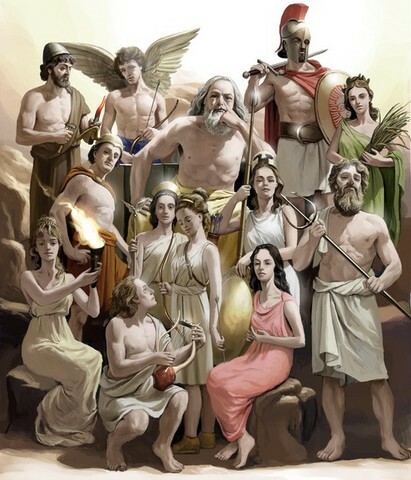 “People tell us, ‘You don’t believe in one God; you believe in three Gods.’ And the answer is, ‘Yes, we do.’ If that is polytheism then we are.” (“150-Year- Old Debate: Are Mormons `Really Christian’? San Francisco Chronicle, April 8, 1996). Yes, Dr. Madsen, that is polytheism. Mormonism is a polytheistic religion and is therefore theologically inconsistent with classical Christianity. This entry was posted in Nature of God and tagged Andrew C. Skinner, Brent L. Top, Brigham Young, Bruce McConkie, Camille Fronk Olsen, Joseph Smith, Polytheism, Robert Millet. Bookmark the permalink. If you think the truth of the presence of all three persons of the Trinity (Father, Son, and Holy Spirit – all three persons!) at Christ’s baptism contradicts the doctrine of the Holy Trinity, then you have absolutely no understanding of the doctrine. The baptism of Christ is one of the chief Scriptural supports for the doctrine of the Trinity. It is false doctrine to say that God “manifests” Himself as the Son, and then “manifests” Himself as the Father, etc. This is why manifestation is a false way to view God – the Son is not a mere “manifestation” – He is the eternal God Man, forever interceding before the Father on our behalf, forgiving our sins, and giving eternal life to all who believe. It is quite clear from Scripture that God exists from eternity as He has revealed Himself – Father, Son, and Holy Spirit – three persons, One True God.